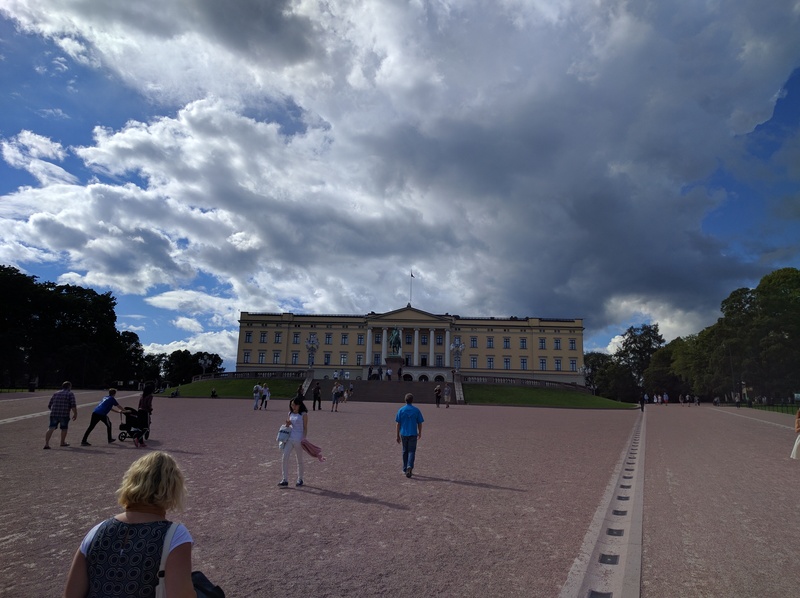 We explored a lot around Oslo today by foot. It was a pleasant 70 degrees F and sunny. 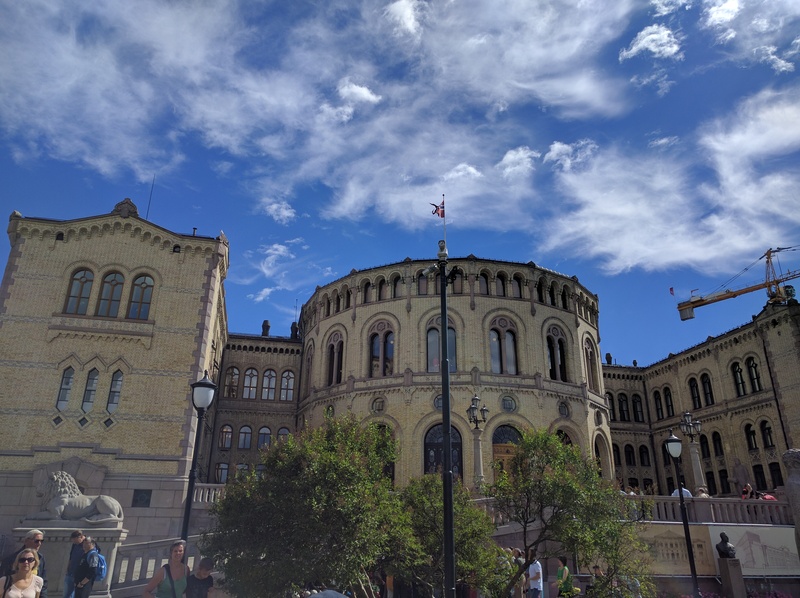 Lots of architecture and city can all be found in the city center. 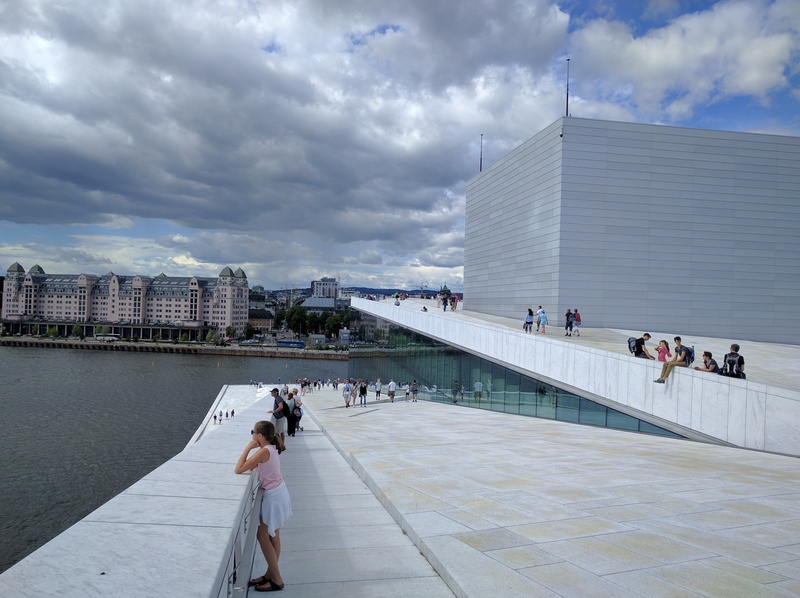 First we checked out the famous Opera House which was quite amazing in its design. You can actually walk up to the top – it is quite high up and gives a nice view of the bay. I am not sure I understand the story behind this pseudo iceberg structure they keep trying to move around the bay by towboat. 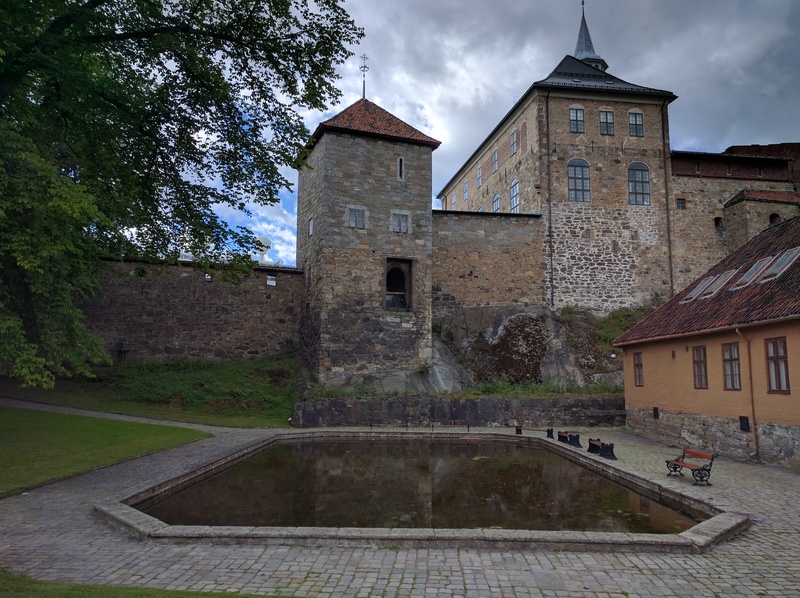 We spent quite a bit of time touring the fortress and military complex on top of the hill overlooking the bay. Lots of stories and history here dating back to the 1600s I believe. 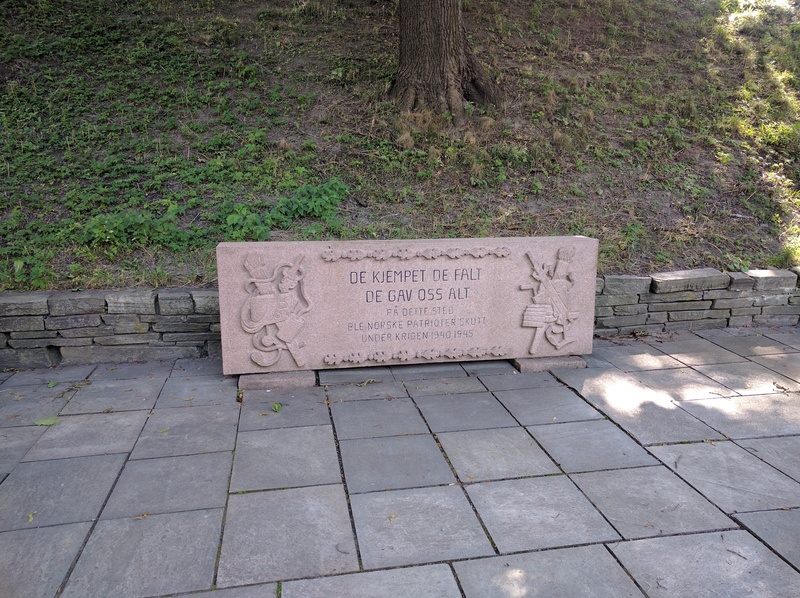 There is even a special memorial for the Norwegian resistance movement against the Nazis in WWII. Most were shot and executed here when they were discovered. 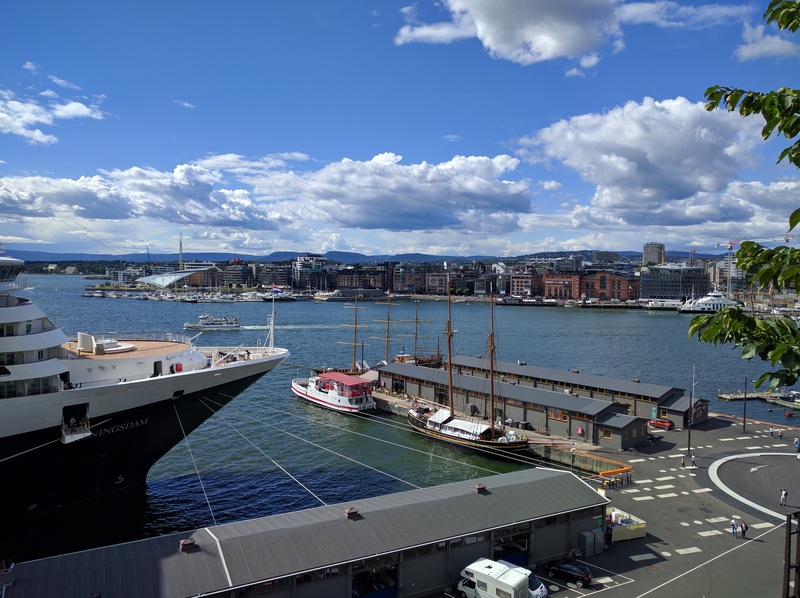 Oslo is definitely becoming a hot spot for cruise ships – you can see the area where we went running this morning and all the locals hunt for Pokemon. 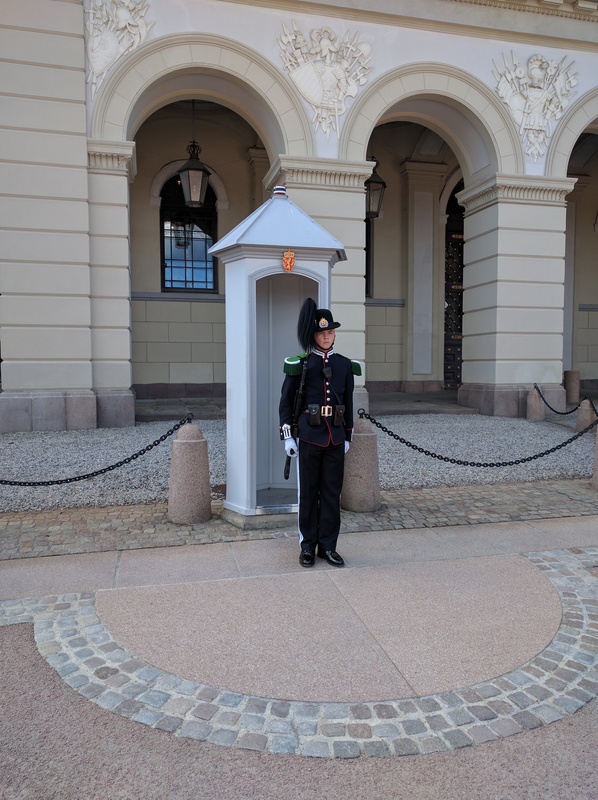 We also walked up to the Royal Palace to see if the family was available for a beer or a cup of tea at the end of the day. They were busy so the guard soldier sent us away to check out one of the local pubs instead. 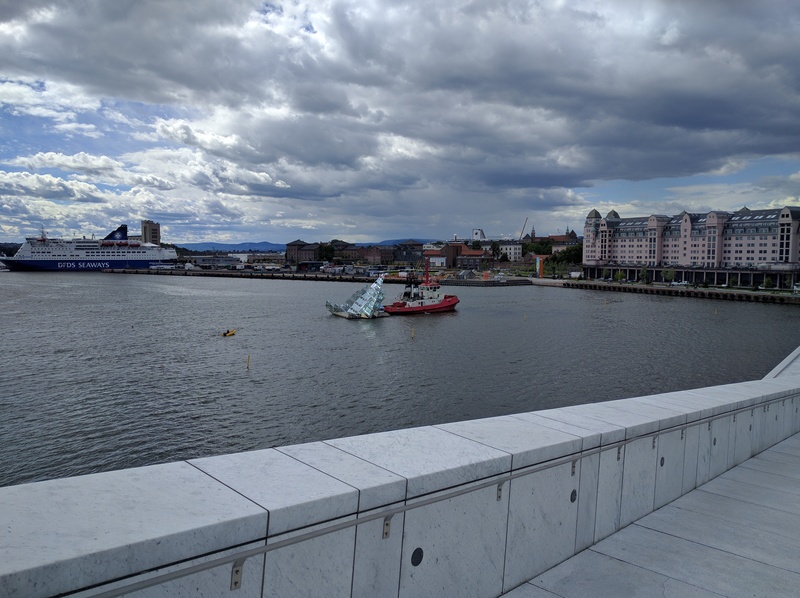 This entry was posted in International, Travel, Uncategorized and tagged Arctic, Hiking, Norway, Travel. Bookmark the permalink.